Apple updated its policy for developers to allow Bitcoin wallets and in-app Bitcoin payments, and now the first apps taking advantage of that shift are live in the App Store. 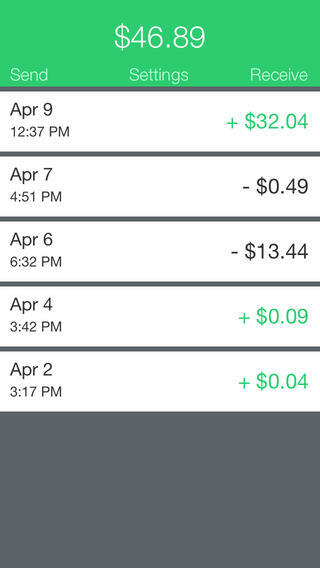 Coindesk reports that Coin Pocket is the first standalone Bitcoin wallet app to become available for iOS. The basic app allows users to send and receive Bitcoin, check the price, and collect private keys into a single spot and encrypt them. CoinPocket circumvented Apple’s crackdown by being available as an HTML5 app inside mobile web browsers but, now fully approved, it has access to a device’s camera for QR code scanning. In addition, eGifter is one of the first general purpose apps to add Bitcoin payments following Apple’s change. Users can now buy gift cards for over 200 brands using the virtual currency.